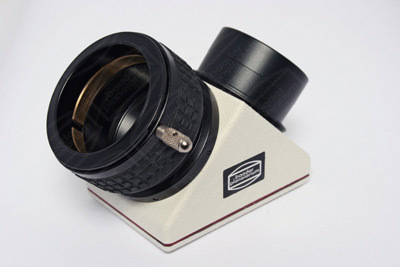 A superbly crafted 2" dielectric 1/10 wave diagonal from Baader with the patented clicklock system for safe accurate clamping of eyepieces and accessories. The durable scratch resistant dielectric mirror not only provides extraordinary light transmission but is figured to an optical surface accuracy of 1/10th wave ensuring that light is reflected without any abberations to deteriorate the image quality. This finely German engineered diagonal also rejects deep UV and IR radiation, making it suitable for solar viewing with all White-Light and H-alpha Solar Filters. A fine diagonal that will upgrade the optical train on any telescope equipped with a focuser that accepts 2" eyepieces.